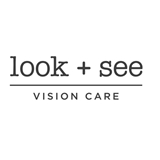 Look + See Vision Care (Austin) - Book Appointment Online! Look + See Vision Care is an independent Austin optometrist and optical boutique featuring medical eye care and handmade eyewear from across the globe. Specialties: Computer Vision Syndrome, Dry Eyes, Keratoconus, Pediatric Eye Care. Very pleasant, efficient and competent. Dr. Bailey was awesome! He took me through all the routine checks without delaying, which is something that I can't say about most optometrists. He was very thorough about addressing my concerns.